What does it take for a musical composition to become “classical music”? Some pieces now in the canon caused riots and inspired revolutions when first performed. It seems, though, that when composers set out to declare revolution, they didn’t really connect with audiences. That’s the situation Peter Els found himself in as a young man. 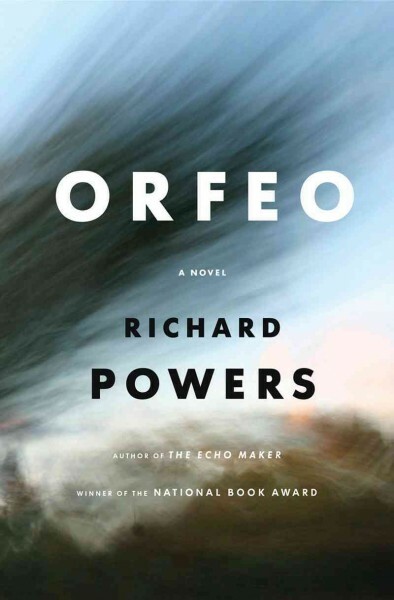 Peter Els is the main character in Richard Powers’ Orfeo, and our tour guide through the worlds of orchestral music and biological terrorism. Seventy years old when the novel begins, his career as a composer over, his only creative outlet lies in the brave new world of manipulating bacteria for his own enlightenment. It’s just too bad that his equipment triggers a full-out alarm at Homeland Security, which reacts in a heavy-handed fashion. With little warning, few resources, and the weight of public opinion quickly turned against him, Peter flees. On his journey, he recites an apologia of his extinguished career. Els grew up in a time of musical turmoil, where old-fashioned notions of rhythm and structure (“beauty” is the reviled term) were thrown out in favor of dissonance and audience involvement. He had two compatriots in his personal revolution – Richard Bonner, a manic director and producer brimming with wild ideas; and Maddy, a singer who agrees to try one of his experimental pieces and ends up marrying him. But low-paying jobs that enable his creative flow, and his devoted fatherhood to their child are not enough for Maddy, and they divorce. Peter goes into a hermitic existence, which he breaks only when Richard blasts back into his life with an earthshaking commission. After an extended and agonizing creative process, the piece debuts to rave reviews; however, Peter sees an unfortunate parallel to current events, refuses to give permission for future performances and breaks all ties with Richard. Alone, he takes a position as an adjunct professor in a middling music program where he nonetheless affects his students and brings out their best. Els admires many of his contemporaries, among them Harry Partsch and John Cage. But he also shows us the ambitions and results of composers ranging back to Mozart, and the future of sounds created by popular musicians who adapted them from the revolutionaries of the late 20th century. Like Mr. Holland, he teaches by understanding where we are and leading us to a new level. Still, he’s on the run, and his efforts to recapture and even make amends for his past are fraught with danger. His genetic engineering interest sparks a national debate, driven by hysteria and the need for a villain by the national media but Peter Els has his own voice and uses it to maximum effect to counter the fear that has been created in his name. Powers’ back-and-forth structure allows him to develop Peter Els against a background of familiar but vague current events, as if his art shelters him from the real world until that art crumbles. He isn’t always a sympathetic man, but freely admits his shortcomings. By the time we reach the unclear conclusion, his story doesn’t need an ending. It’s his life, and the music, that stand on their own. I don’t know if Richard Powers knew about these guys when he started working on Orfeo; if not, it’s an ideal case of life imitating art. Ironic, since all Peter Els wanted to do was have his art imitate life. 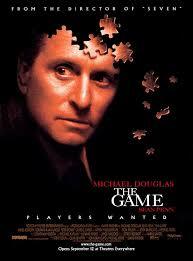 A wealthy investment banker receives an unusual birthday gift in David Fincher’s 1997 thriller The Game. Nicholas Van Orton (Michael Douglas) enjoys a prosperous career as a banker with all the trappings of success; however, he has few personal connections and is estranged from his former wife Elizabeth and younger brother Conrad (Sean Penn). On Nicholas’ 48th birthday, Conrad pays him a surprise visit and gives him a voucher from a company called Consumer Recreation Services (CRS). If Nicholas redeems this voucher, he will receive a virtual reality game custom designed for him. Conrad refuses to describe the game in detail, but insists that it is a life-changing experience. Intrigued, Nicholas visits CRS and meets with a man named Jim Feingold (James Rebhorn). Like Conrad, he offers few specifics about the game, telling Nicholas that it’s like an “experiential Book-of the-Month club.” Nicholas decides to fill out a lengthy application for the game as well as undergo a series of physical and psychological examinations. Shortly after applying for the game, he receives a message from CRS informing him that his application was rejected. However, this message actually turns out to be the first move in Nicholas’ game. Nicholas continues to go about his daily business, but soon cracks start appearing in his orderly world that may or may not be a part of this game. 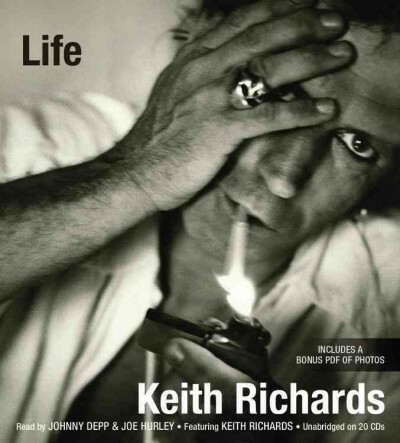 These range from the mildly annoying and inconsequential – a leaking pen and a locked briefcase – to the bizarre – a trashed hotel room filled with photos that appear to show Nicholas in compromising positions. Along the way, Nicholas discovers clues to the game, and one of these clues leads him to a waitress named Christine (Deborah Kara Unger), who may be an innocent victim of the game or one of its key figures. As Nicholas continues to play the game, the stakes get higher, and soon the game threatens his career, finances, and life. The Game is a fascinating portrait of a man whose carefully constructed life is completely upended by forces beyond his control. Nicholas is being manipulated, but by whom and for what purpose? Is the game a harmless, if occasionally inconvenient, diversion, or a sinister plot to gain control over his life and his fortune? Nicholas’ attempts to find answers to these questions lead him down the rabbit hole to a surreal nightmare that tests his patience and sanity. I especially enjoyed the performances in the film. Michael Douglas is perfect as the successful but distant Nicholas, and Deborah Kara Unger brings an intriguing icy reserve as the mysterious Christine. Director David Fincher keeps the pacing sharp and focused, gradually ratcheting up the tension as the game becomes more intense and dangerous. A complex thriller filled with unpredictable plot twists and moments of dark humor, The Game is a good choice for anyone looking for a surreal thriller this Halloween. This is my favorite exercise video, not only for its glorious setting and background music, but because I can actually do each exercise, all the way through from beginning to end, without wasting precious time or feeling hopelessly out of shape. I feel great afterwards, especially if starting my day. Now, that does not mean it lacks challenge for intermediate yogis, or that it’s appropriate for a beginning Yoga student. In fact, this program is best utilized by those who’ve received sound one-on-one or group instruction on the basic movements of Yoga. You want to make sure that you’re using proper form and posture, so as to prevent back injury or pulled tendons, etc…, and have received sound feedback and correction from a wise instructor. The most important thing I’ve learned about Yoga is never to feel you must compete with others, simply to improve yourself gradually at your own pace. There are always modifications and props to help you manage more difficult poses until your body gains the flexibility it needs to stretch as well as those featured in videos like this most awesome one. Ali Macgraw and her gorgeous model yogis perform the workout designed and led by Erich Schiffman with his soothing voice against the breathtaking backdrop of the brilliant White Sands of New Mexico. The musical accompaniment, with original score by Lucia Hwong and tracks performed by the hypnotic band “Dead can Dance,” rich with exotic vocals and enchanting drumbeats, is so incredibly relaxing that I can not only use this routine to awaken and energize me early in the morning but alternatively find it to be a calming antidote for winding down at the close of a stressful day. I have found that the meditative aspects of practicing Yoga are essential to my enjoyment of it and make it more beneficial to my entire being, beyond the physical. Even though the year of this DVD’s release may seem dated, the music, cinematography, even the yoga attire and overall production still seem very cool. Check the WRL catalog for Ali Macgraw: Yoga mind & body. 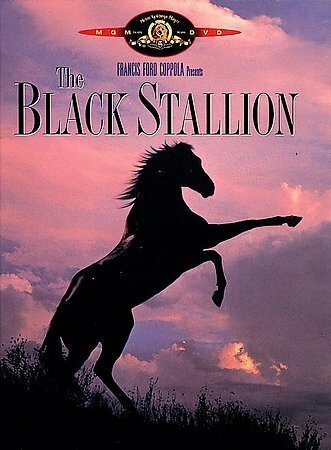 The Black Stallion is one of my all-time favorite films, and it stuns me to encounter individuals who have never heard of it, which sometimes happens when I suggest it to families looking for movies that will entertain viewers of all ages. It often shows up on lists of great movies and also on lists of films containing minimal dialogue. The film is based upon Walter Farley’s children’s novel of the same name. 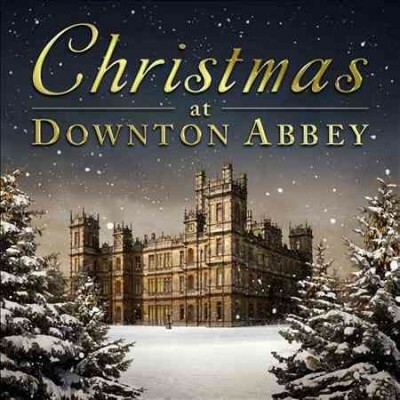 Visually mesmerizing, it’s also a great title for those learning the English language. The opening segment of the film is perfectly scored to music, especially a scene where the music is timed with the patient attempts of the boy to encourage “the Black” to join him in the sea so that he can finally ascend the horse’s great height to sit on his back and ride him. The reflections of light in the tropical waters, the endless sky, contrasted with the horse’s intense darkness and the pale yet sun-freckled flesh of the lonely shipwrecked boy are unforgettable. I admit, however, that at home with my DVD it is often during this scene that I find myself drifting off to sleep due to the relaxing atmospheric quality of the cinematography. It is for this reason that I always pop in The Black Stallion if I’m having trouble settling down for a good night’s sleep. It may work wonders for your rambunctious young ones when they’re in need of being calmed. Check the WRL catalog for The Black Stallion DVD.